Indira Gandhi, prime minister of India for sixteen years, was as charismatic as she was controversial–at once admired and criticized for her political judgements and actions. Yet beyond such debate, what has not been fully understood is her life-long communion with nature and how that defined her very being. 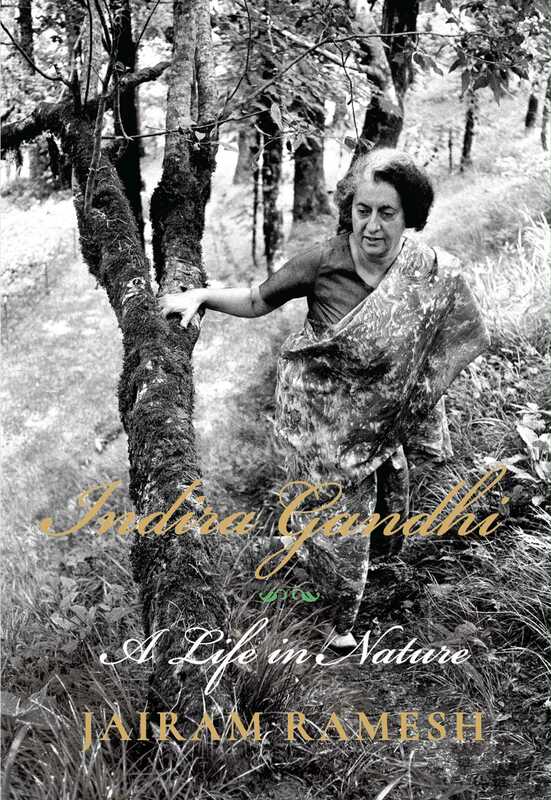 Weaving personal, political and environmental history, politician-scholar Jairam Ramesh narrates the compelling story of Indira Gandhi, the naturalist. He tells us why and how she came to make a private passion a public calling; how her views on the environment remained steadfast even as her political and economic stances changed; how her friendships with conservationists led to far-reaching decisions to preserve India’s biodiversity; how she urged, cajoled and persuaded her colleagues as she took significant decisions particularly regarding forests and wildlife; and how her own finely-developed instincts and beliefs resulted in landmark policies, programmes, initiatives, laws and institutions, that have endured. Drawing extensively from unpublished letters, notes, messages and memos, Indira Gandhi: A Life in Nature offers a lively, conversational narrative of a relatively little known but fascinating aspect of Indira Gandhi’s tumultuous life. Equally, the book acts as a compass to India at a time when the country faces the formidable challenge of ensuring ecological security and sustainability in its pursuit of high economic growth. Jairam Ramesh, a member of Parliament, has authored a number of bestselling books including Old History, New Geography: Bifurcating Andhra Pradesh, To the Brink and Back: India's 1991 Story, Legislating for Justice: The 2013 Land Acquisition Law, Green Signals: Ecology, Growth and Democracy in India, Making Sense of Chindia: Reflections on China and India, and Kautilya Today: Jairam Ramesh on a Globalising India. He lives in New Delhi.